I presented an overview of the the scientific studies that have been underway since 2002 to assess the steelhead habitat objectives for the removal of Matilija Dam. 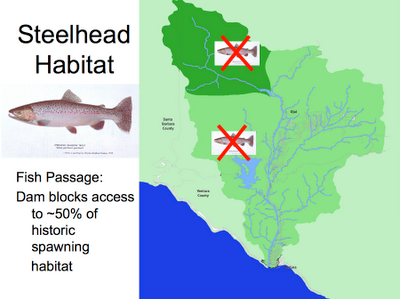 The crux of the issue is the large dams that create impassible barriers preventing access to headwater habitat. 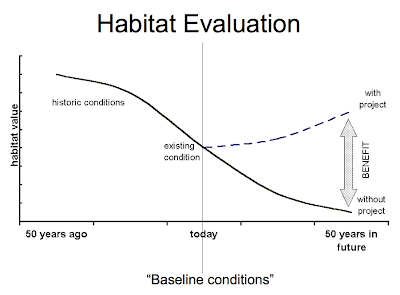 My presentation titled "Monitoring Annual Trends in Abundance and Distribution of Steelhead Above and Below Matilija Dam, Ventura, California" outlined the Thomas Paine & Associates (TRPA) studies to assess habitat and population within the Ventura/Matilija basins. 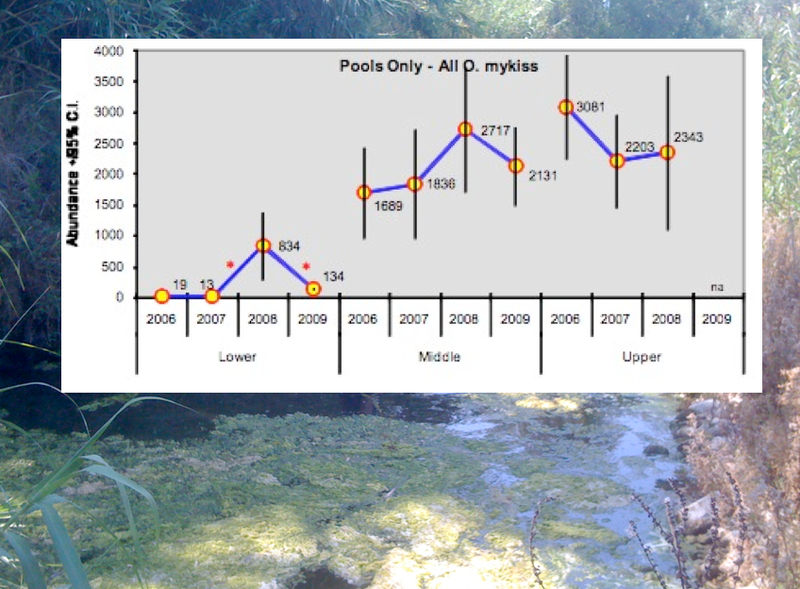 This data was used in the Matilija Dam Feasibility Study to evaluate baseline conditions for steelhead habitat and predict the benefits from opening up over 20 miles of good-to-excellent perennial creeks to the anadromous, or ocean going, steelhead trout. These studies are a critical part of the Ecosystem Restoration project, since a dam of this scale has not yet been removed, and the 'flood and drought' climate in our region creates extreme annual variability in steelhead populations. The Matilija Coalition was successful in a grant application to continue these studies in 2010-2011, and work has already begun with the help of Patagonia and OneSurfFly. Note that all of these studies are on the Matilija Coaltion website.